The Citrus Research and Development Foundation (CRDF), a $124 million state citrus-industry initiative, has invested nearly 90 percent of its funds in HLB research. CRDF asked the Academies to review its research portfolio and determine if its efforts have followed recommendations outlined in the Academies' 2010 report, which originally called for the organization's creation. The committee found that CRDF was responsive to several recommendations from the previous report, and along with other funders, has advanced our knowledge about the disease. However, HLB remains a serious danger to Florida's citrus industry, having progressed from an acute to a chronic disease throughout the state. The report notes that significant barriers to progress toward an HLB solution still exist, among them the inability to culture the bacteria in the laboratory, the lack of advanced diagnostics for early disease detection, and the absence of standardized research methodology that would improve the comparability of results across studies. Resolution of any one of these issues would constitute a significant step, according to the report. The committee recommended continuing support for both basic and applied research for short- and long-term research efforts. In the long run, HLB solutions would likely utilize new technology, such as gene modification and gene editing, focusing on targets that mediate molecular interactions among plant, bacteria, and the vector, the committee said. As interest in using genetic modification in research grows, CRDF should also consider funding research to assess stakeholder acceptance of the technology and expand efforts to educate growers, processors, and consumers to facilitate the eventual deployment of genetically modified citrus lines. In the meantime, growers in the state will need short-term solutions for the industry to remain viable. The report recommends finding the best suite of strategies to control the disease in different environmental and growing conditions, vector and pathogen pressures, tree varieties, and stages of tree health, which would help growers in Florida and other states where HLB also occurs. The report also highlights the need to better understand the economic and sociological factors that impact decision-making and behaviors of growers, which influence the adoption of HLB management strategies. CRDF should create accessible databases to support sociological and economic modeling of citrus greening-related research outcomes and application projections. The report recommends researchers communicate about the outcomes and evaluation of their efforts in a timely and systematic way. 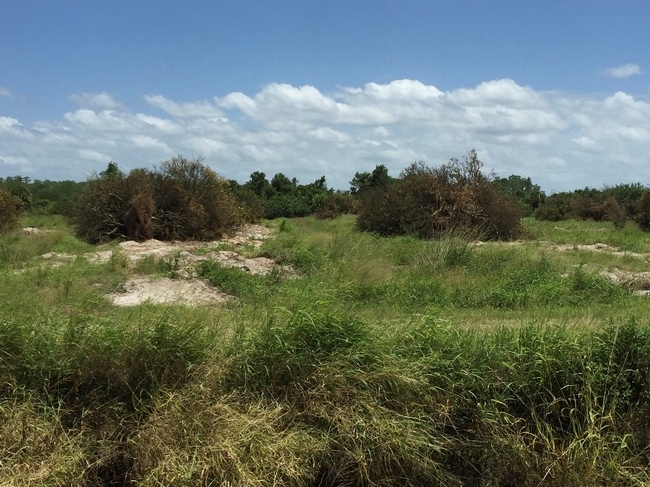 Additionally, current approaches to research prioritization and funding based within individual federal and state funding agencies have not led to development of a master plan for HLB research and subsequent management solutions. CRDF should work with other funding agencies to create an overarching advisory panel to develop a master plan for HLB research, communication, and management. The study was sponsored by CRDF. The National Academies of Sciences, Engineering, and Medicine are private, nonprofit institutions that provide independent, objective analysis and advice to the nation to solve complex problems and inform public policy decisions related to science, technology, and medicine. The National Academies operate under an 1863 congressional charter to the National Academy of Sciences, signed by President Lincoln. For more information, visit http://national-academies.org. A roster follows. What's the HLB News from Florida? 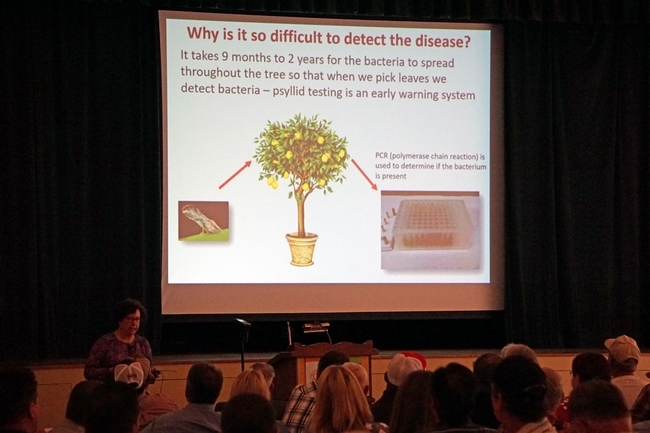 Two more trees infected with huanglongbing (HLB) disease were identified and destroyed in the days before UC Cooperative Extension and the Citrus Research Board kicked off their spring Citrus Growers Education Seminar in Exeter June 27. The new infections raise the total number of HLB-infected trees in Los Angeles and Orange counties to 73. The latest statistic set the stage for spirited discussions about a looming threat that cut Florida citrus production by 60 percent in 15 years. The devastating citrus losses in Florida were recounted by Ed Stover, a plant breeder with USDA Agricultural Research Service in Fort Pierce. "One of the benefits of coming here is I am reminded how beautiful citrus is," Stover said. "In Florida, there are more than 130,000 acres of abandoned groves." He showed slides of trees with thin canopies, pale leaves and green fruit; in one image the trees were skeletons among tall weeds. Huanglongbing disease is an incurable condition spread by Asian citrus psyllid (ACP). The psyllid, native of Pakistan, Afghanistan and other Asian regions, was first detected in California in 2008. Everywhere ACP is found, the pests find and spread HLB. Stover and his colleagues are searching for citrus cultivars that have natural tolerance for the bacteria that causes HLB, but progress is slow. Transgenic citrus, he said, is the best bet for developing citrus with HLB immunity. "In my opinion, commercial genetically engineered citrus is inevitable, and GE crop concerns will likely decline with time," he said. In California, the aggressive push to keep psyllid populations low, regulations to limit the spread of psyllids when trucking the fruit, and active scouting for and removal of HLB infected trees in residential areas could buy time for researchers to find a solution before California suffers the fate of Florida citrus growers. "Be vigilant," Stover said. "As long as you are still making a good return, there is almost no investment too great if it keeps HLB out of California." UCCE specialist Beth Grafton-Cardwell outlines research underway to detect huanglongbing disease of citrus. Beth Grafton-Cardwell, UCCE citrus entomology specialist and director of the UC Lindcove Research and Extension Center near Exeter, said the prime research in the San Joaquin Valley is aimed at early detection techniques. Once a tree is infected, it takes nine months to two years for the bacteria to spread throughout the tree, so that when leaves are selected for testing, they detect the bacteria. Capturing and testing psyllids is one way to to find the disease early. Other early detection techniques focus on the microbes, proteins and aromas produced by sick trees. "These can be measured with leaf test, a VOC (volatile organic compound) sniffer, swab or even dogs," Grafton-Cardwell said. "Scientists are studying every conceivable way to stop the disease." In the meantime, growers were encouraged to carefully monitor for and treat psyllid populations in their orchards with pesticides. 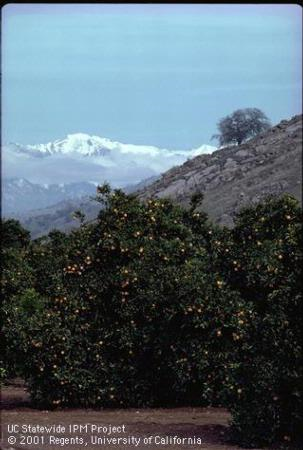 Pesticide treatment recommendations are available on Grafton-Cardwell's Asian Citrus Psyllid Distribution and Management website, http://ucanr.edu/acp. "We have lots of challenges," Grafton-Cardwell conceded. "We hate disrupting our beautiful integrated pest management program. 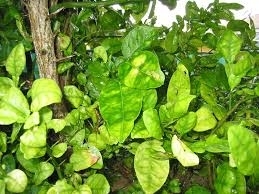 But monitor your own groves, apply the most effective treatments and remove suspected (infected) trees. Going through the pain up front will save us in the long run." Funding of the Citrus Research Board is an investment in pertinent research that supports the industry, making the information accessible to all within the industry from pest control advisors to packing houses to farm managers and others within the industry. The goal is to get the research done and then make sure it is used. CRB represents both large and small growers throughout California. CRB research programs are funded by grower assessments which attract both federal and state funding, funding which represents a third of the total budget. This funding is used to support such projects as, HLB-resistant citrus rootstocks; the development of effective, low-cost HLB early detection technologies to rapidly remove infected trees; improved biocontrol methods for specific insect control like Asian citrus psyllid, as well as others; pre-and post-harvest citrus research to maintain export markets, amongst many other research programs. The Citrus Research Board also supports the Citrus Clonal Protection Program (CCPP) with the goal of insuring the safe introduction of citrus varieties, disease diagnosis and pathogen elimination of introduced varieties and the maintenance and distribution of introduced varieties. CCPP serves as the primary source of clean, disease-free budwood and new varieties from Florida. This work is a collaboration between the Citrus Nursery Board, the University of California and State and Federal Regulatory agencies. The CCCP has become a major hub of the National Clean Plant Network for Citrus, resulting in the collaboration with 10 citrus centers in nine states and territories with multimillion dollar funding in support of CCCP's operations. CRB research supports the California Citrus Quality Council (CCQC) with the primary objective of ensuring that California citrus meets domestic and international phytosanitary, food safety, food additive and pesticide residue regulations. CCQC ensures that California citrus growers have access to export markets for their fresh citrus fruit. Exports represent a third of the California citrus grower profits. 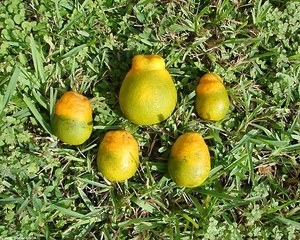 CRB-funded research into the California citrus-breeding program has led to the development of the Tango mandarin, along with others. The core breeding program conducts yield trials throughout the state on all varietal types to give growers information on upcoming new varieties and rootstocks. There is ongoing work to incorporate molecular tools to expedite breeding efforts to find plant materials resistant to HLB. 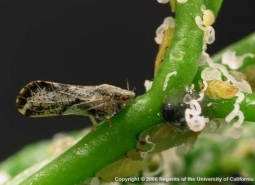 Along with CRB funding for cutting-edge projects for pest and disease control strategies, the CRB-funded CORE IPM Program led by Beth Grafton-Cardwell has responded to citrus grower needs for modifying existing spray schedule to treat Asian citrus psyllid. The program evaluates rotational sprays at appropriate times to avoid pesticide resistance to ACP. Finally, this CRB-packaged information has been extended to growers through programs, including: The California Citrus Conference, Post-Harvest Conference and Seminar, and Regional Grower Education Seminars. CRB-funded research is compiled in Citrograph Magazine, the only magazine dedicated solely to the California citrus industry. 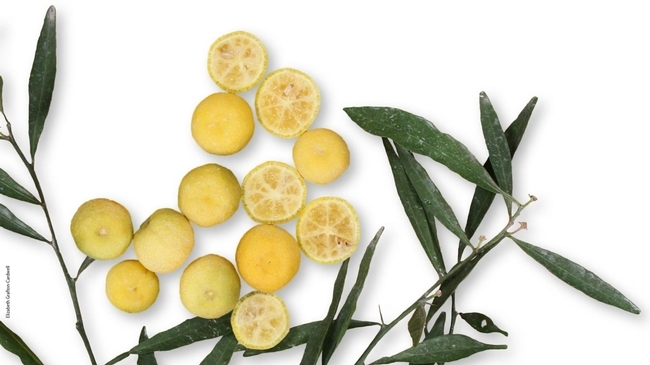 Resistant Citrus Selections to HLB?